For those of you who don’t know I graduated last summer with a Bachelors of Arts in Music from the University of Southampton. I spent three years studying, racking up over £30,000 worth of debt that will follow be around till I’m about 50 and it’ll get written off. There was a statistic in the newspaper about how the average graduate will earn £100,000 more over their lifetime than the average not graduate. However, I’m an arts student and we fall into an entirely different category. So, I thought I would let you know whether I thought my £30,000 was worth it… so far. First thing’s first, music (at a University) is not a subject of just performance and prancing round a department listening to Mozart. It is, believe it or not, an essay based subject. Honestly. I wrote at least 15 of them a year. However, I still had a performance module, for which I did Piano and Musical Theatre Singing. Alongside my degree I continued my high school job for the holidays of first year (McDonalds for those of you who don’t know), and then in my second year I had two paid internships (one as a marketing officer of Turner Sims Concert Hall, and one as an Arts Engagement officer of the Student’s Union), in my third year I started working at Superdrug, and I also held a number of committee positions throughout my final two years. I now work in Classical Music PR – a job which requires a degree (very preferably a music degree). My income is very low… kind of depressingly so. But unfortunately that is the sad fact of the Arts. Now, was my degree worth it? Personally? Yes. And not just for the piece of paper I received at the end of it (although I did meet Jon Sopel – the BBC North America Editor – at my graduation which was awesome). My degree was essential for my job, making it essentially worth it on its own. But it’s worth so much more than that. I went to University a very nervous person, I wasn’t in the best place emotionally or mentally. I was very quiet, kept to myself and generally found socialising with people who weren’t already my BFFs a daunting fact. I have to say I didn’t really notice a change in myself until the end of second year into final year. However, in my final year I feel like I really grew into myself. The confidence I gained while working in all those jobs and positions (gained through University) were invaluable and essentially they’ve made me who I am today. I’m now so much more confident in myself, I have a lot more self belief and I now have the confidence to know that I can do things outside of my comfort zone. I’m not one of those people who made friends for life at University. My best and closest friends are still my closest friends from school, and I only briefly keep in contact with the odd person from University. But I still met some amazing people, and unfortunately a lot of jobs nowadays is now what you know, but who you know. And University is a great way to meet people who are already in your field or about to embark on that journey in your field with you. I mean this is all I need to say; I went to University wanting to be a music teacher (a career I had set my heart on when I was only about 12), and after the experience I gained at University, I left wanting to work in Music Administration (mainly Marketing or PR). 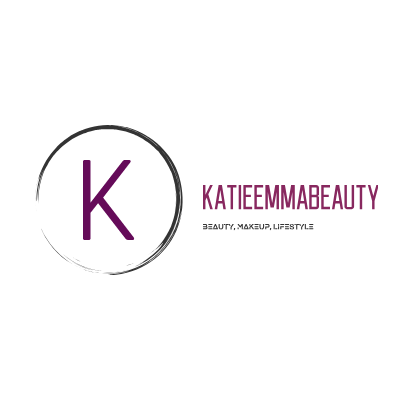 I also went to University not even knowing that blogging was a thing, and left University with this – KatieEmmaBeauty. Have you gone to University? Would you say it was worth it?